Few places in the world are still as wild as they were when explorers like David Livingstone ventured into lands that were terra incognita. While Africa, like the rest of the globe, has become familiar, portions of it are evocative of that earlier era, when the bush teemed with animals and nature’s immensity was palpable. This survey of Zambia’s untamed wildlife realms, capped with the finale of Victoria Falls, is for explorers seeking Africa as it once was—and still is. 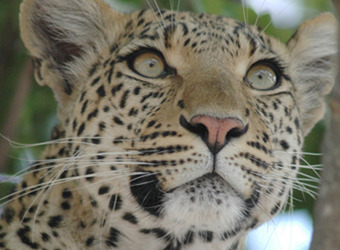 In just two words, Zambia in my book is: perfectly wild! 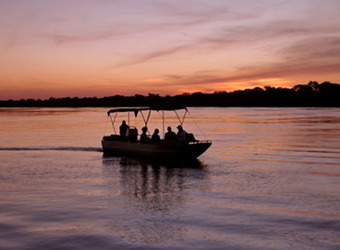 Zambia is a great destination for both first-timers and seasoned safari-goers who have visited other African countries and yearn for more. 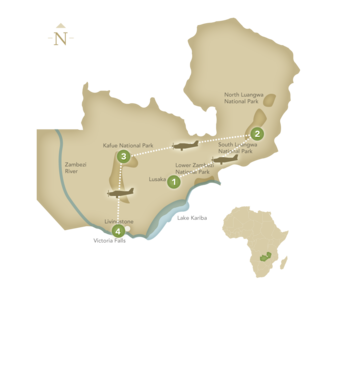 Walking safaris, particularly in South Luangwa National Park, are an absolute highlight of any visit to Zambia, as the landscape is ideally suited for game viewing on foot – an exhilarating experience. 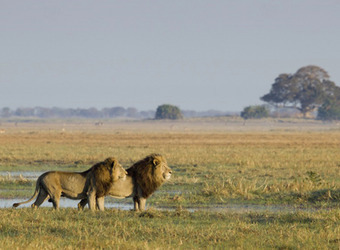 In contrast to the river valleys of South Luangwa, Kafue National Park feels much like the Serengeti or Masai Mara. Here the plains open up on a grand scale, providing excellent wildlife sightings and spectacular sunsets. Days 6-10: South Luangwa N.P. 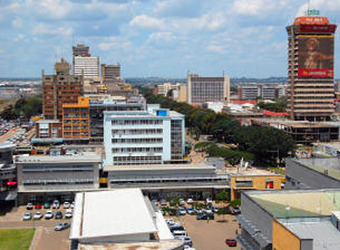 Sprawling, frenetic Lusaka is Zambia’s thriving capital and largest city. Once a village along a strategic railway line, Lusaka replaced Livingstone in 1935 as the capital of the British colony of Northern Rhodesia. Today the fast-growing city is a magnet for jobseekers from the rural hinterlands, and the start or finish point for many Zambia safaris. Lusaka is famous for its vibrant markets, including several that specialize in Zambia’s outstanding handcrafts.